and wondered where exactly it was headed. 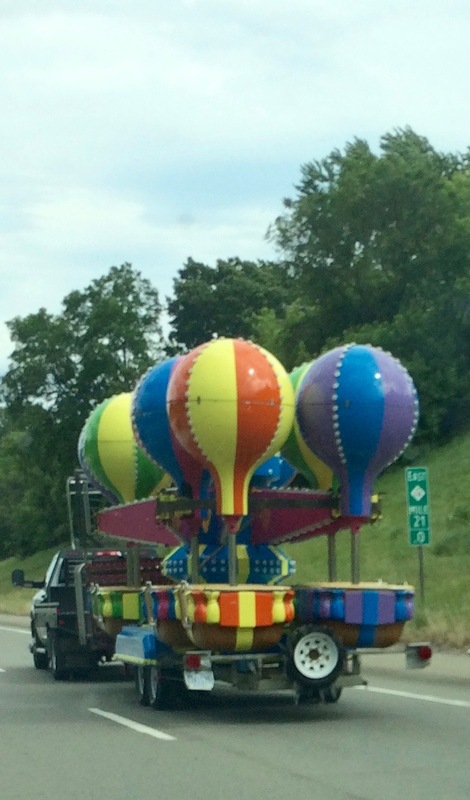 Perhaps this is a carnival trailer- not unlike a movie trailer. The wheels surely keep turning, Beth. I always ask myself the same question when I see something like that. I lived in a small coastal town when I was a boy and the carnival or “Fair” as we called it, arriving for two weeks in the summer was one of the year’s high spots. I can still almost taste the candy floss we used to buy on our way home !! Hurray for the carnival truck!